Today at PDC 05 in Los Angeles our Director of High Performance Computing (HPC), Kyril Faenov, outlined Microsoft’s plans for our newest addition to the Windows Server family – Compute Cluster Solution (CCS) in a packed breakout session. What is Microsoft’s CCS you ask? CCS is essentially taking a CPU intensive computational load and spreading it across multiple 64-bit clustered servers….very inexpensively. Kyril did a great job of putting the above into perspective: In 1992, in order to achieve a computer speed of 10GigaFlops you would need a Cray Supercomputer and $40,000,000.00. In 1998, it would have cost $1,000,000.00 to get a proprietary high-end system to achieve the same 10 Gigaflops. Today with Compute Cluster Solution, you can get the same 10Gigflops for less than $4,000.00….wow, that is a 250x price drop. So real quick Ward – what is a GigaFlop? giga=billion, flop=gigli 😉 (I couldn’t resist.) A flop is the number of Floating Point Operations Per Second. Floating Point Number? Its is way to express very large numbers easily through the use of a basic number (mantissa), an exponent, and a number base (radix). (4a-2 for example) Since these types of numbers are used extensively in the scientific community, the number of FLOPS a computer can process is a standard for determining the speed of a computer. What this low-cost solution provides is a way for supercomputing power to be delivered to places where it was once economically feasible… (think of supercomputer power for every department at a college, lab, or company) This will open a whole new world of computing power in areas where it was unfeasible before….scientific, material sciences, digital media, etc. 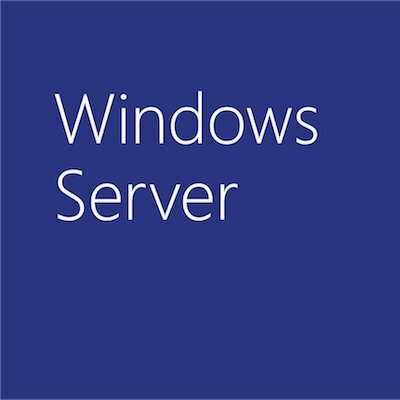 Microsoft’s Compute Cluster Solution runs on only on our x64 platform. It will ship on 2 CD’s. The first CD contains a special version of our X64 edition that is tailored to the needs of CCS. (If you want to use the regular versions of Server 2003 x64, they will work great too…. especially if you want to run other apps on a CCS box) The 2nd CD contains the management part of CCS – the job scheduler, management console, etc…. As we get closer to the next beta we will expand the program to allow more people to test – eventually everyone will be able to download and test.